The renovation of the library was born out of a discussion started to address the renovation and reorganization of the Bemis administrative offices. 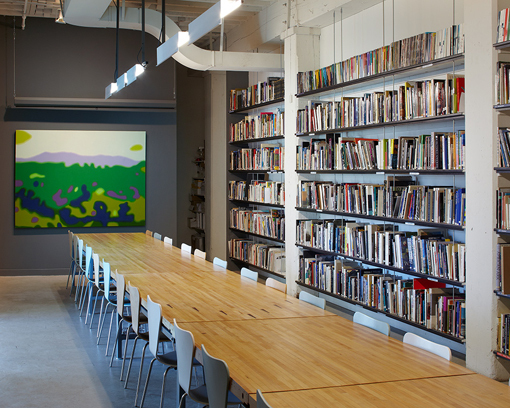 As a first phase, the Library is indicative of Bemis as a gathering place for intense dialog and artistic production. 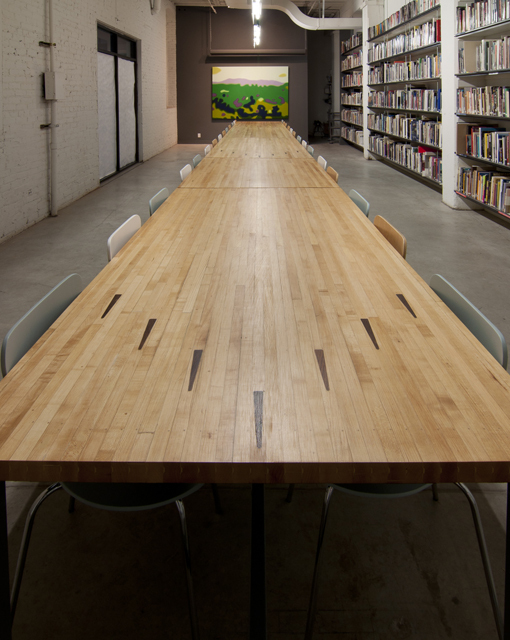 The scope of this project includes the architectural re-arrangement of the space, the design and fabrication of a 36′ conference table, site lighting, and shelving rehabilitation, including moveable magnetic signage. 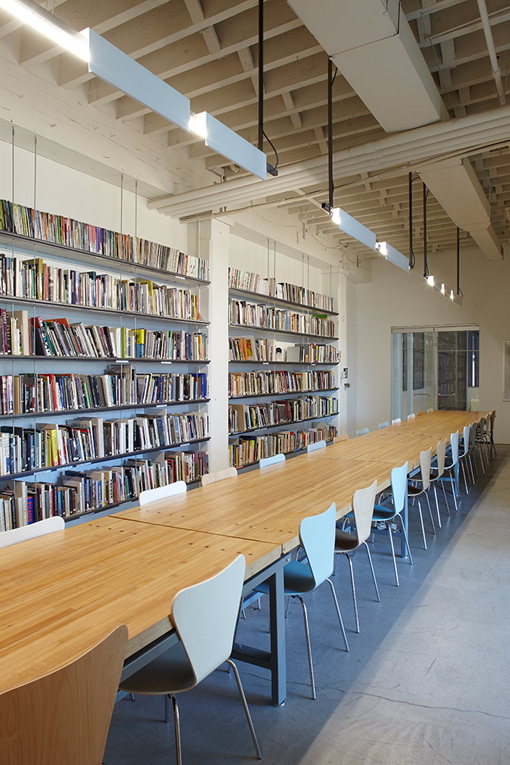 As a site of potential, both the outer library foyer, and the interior library offer extensive work and meeting space and direct access to a major collection of of art, design and architecture books. 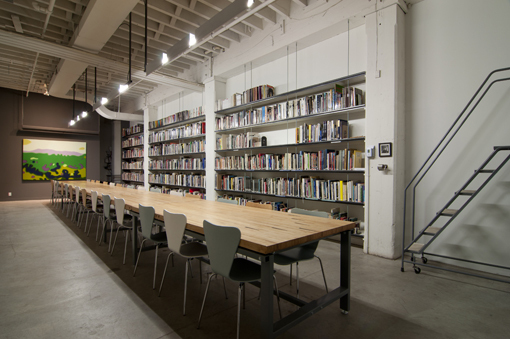 The library is the first phase of the “Bemis Bonding Project,” a long-term set of commissions and collaborations to be executed over the next year. 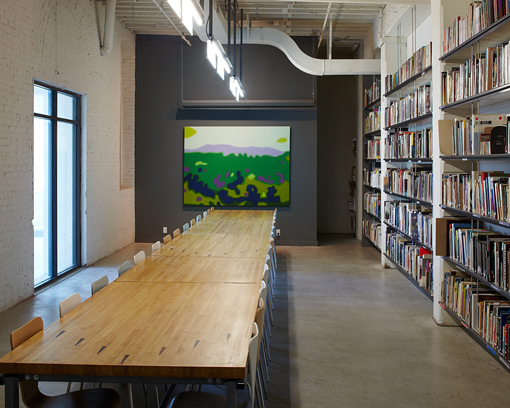 The project involved fabrication both in Omaha and Kansas City, and much of the project was executed in direct collaboration with the Bemis staff.